Kollu (or) Horse gram is one of the healthiest pulses as for as i come to know about it. It has so many health benefits and used in ayurvedic medical treatments for renal stones, piles..etc. It is a rich source of Calcium, Fibre and Poly phenols which has high antioxidant capacity and it is diuretic. So i planned to include this healthy pulse weekly in my meal in one or other way. There are many options to make it in a very tasty way. 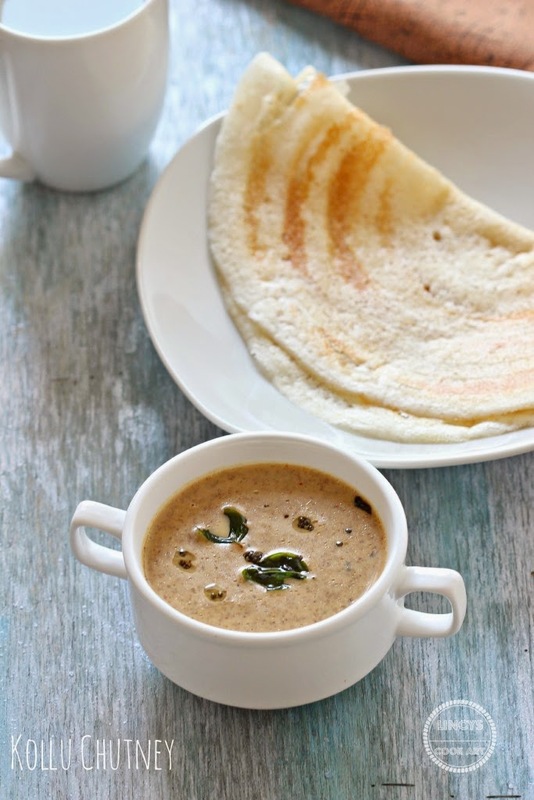 Some recipes such as Kollu Rasam to be served with rice, Kollu Sundal for evening Snack and this chutney to pair with Idli or dosa as a side dish. 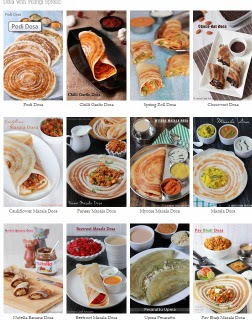 I have to say all these Kollu recipes are really tasty especially this chutney i am sure you will make it whenever you prepare Idli or Dosa. Remove any stones or clay present in the kollu which are visible to your eyes. Heat a pan and dry roast the kollu till nice roasted aroma arises and one or two seeds starts to pop. Transfer the kollu into a plate and allow to cool. In the same pan add a teaspoon of oil and add jeera and fry for five seconds. then add onion, garlic and dried red chilli and cook together till the onion become translucent and the red chillies becomes slightly crisp. Now add the tamarind and coconut and mix well in that heat and cook for ten seconds. Do not cook more. Switch off the gas and allow to cool. Transfer the roasted kollu and roasted onion coconut mixture together inside the blender jar and add salt and pulse to coarsely powder them. Then add some water and grind as a paste coarse paste or fine paste how you like the consistency of the chutney. Heat a teaspoon of oil in a pan and splutter mustard seeds and add curry leaves. Switch off the gas and transfer the tempering over the ground chutney. Add salt or water to dilute the chutney if required. Love this healthy chutney,,First time to your blog and loving the recipes and photography!!! DO hop into my blog at your leisure. I never heard of kollu, I hope I can find some because I would love to make this recipe one day.